Home » Seasonal Goodness » Coffee, Tea, or a Shot of Hot Red Beans? Coffee, Tea, or a Shot of Hot Red Beans? 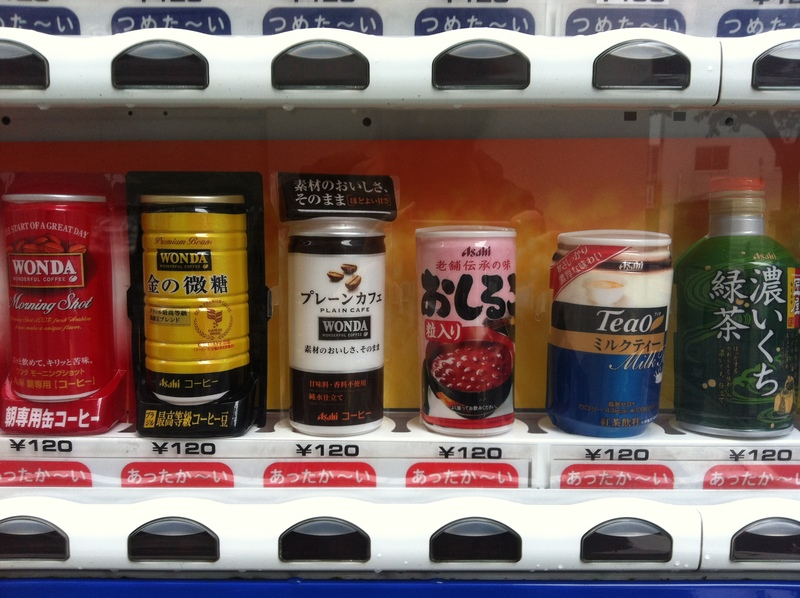 It’s the season when warm drinks reappear in vending machines all over Japan, offering morning jolts of coffee, black tea, cocoa, green tea and…red bean soup? Yes, it’s time for shiruko, that wintertime favorite made from crushed sweet red beans, thinned so it can be slurped from a can in an alleyway on the way to work. I poured mine out into a cup, just to see what was in it. Sure enough, “one lump or two” doesn’t quite cover the number of actual beans still lurking around, uncrushed at the bottom of the can. 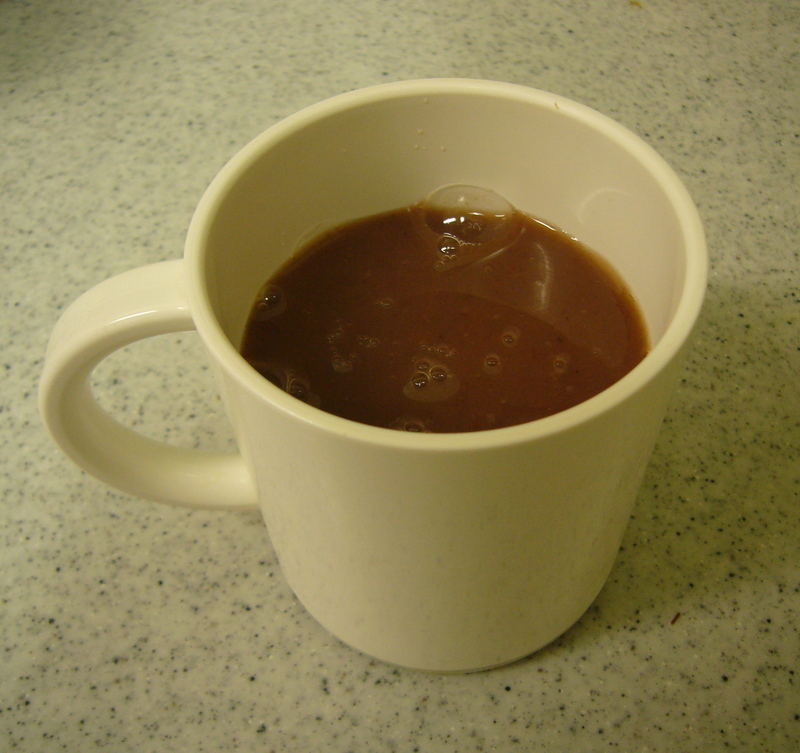 A cup of steaming shiruko to start your morning out right. I could really go for one of those! And oh, what it does to your gut! I have to admit, I tasted it, but didn’t chug it to find out!